One of our primary duties as pet owners is protecting our companions from danger. Pet-proofing our homes and yards, using only pet-safe cleaning products, and otherwise eliminating household risks represent just the tip of the iceberg. When a holiday pops up, there’s always some additional legwork required. Fortunately, with our guide to Halloween pet safety, you and your best friend have nothing to worry about! 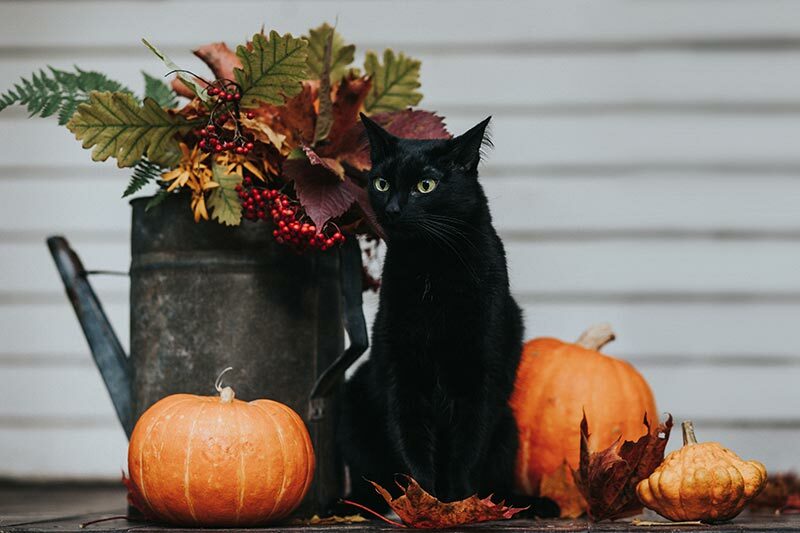 All cats and dogs benefit from having a microchip year round, but during Halloween, separations and escapes are much more common. ID tags and reflective collars are great additions to enhance Halloween pet safety. Owners of black cats should be especially vigilant this time of year. These pets should remain inside as much as possible to reduce threats from pranksters.